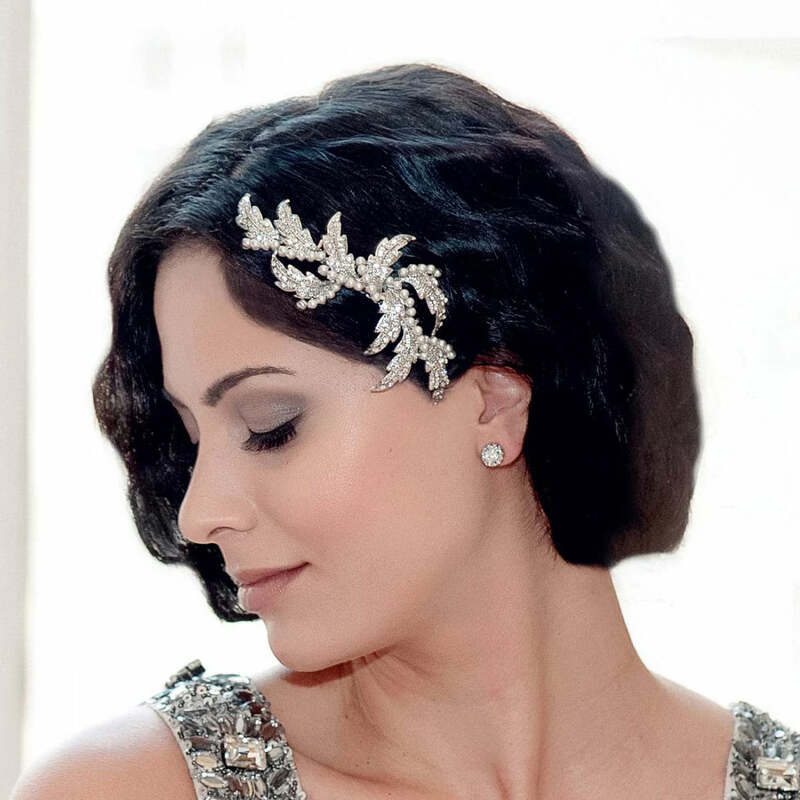 Adorn your hair with a touch of Old Hollywood style with this beautiful 1920s inspired hair comb. Evoking memories of the fabulous Gatsby period, our Leaves of the Twenties Hair Comb will adorn your hair with Old Hollywood Glamour. Sweeping silver tone leaves scattered with sparkling Austrian crystals and lined with elegant ivory faux pearls give this beautiful hair accessory heirloom style that will dress many hairstyles from a chic up-do, side chignon or elegant French pleat. Brides who adore the romance and beauty of vintage wedding hair combs will adore the timeless style of this 'piece'. 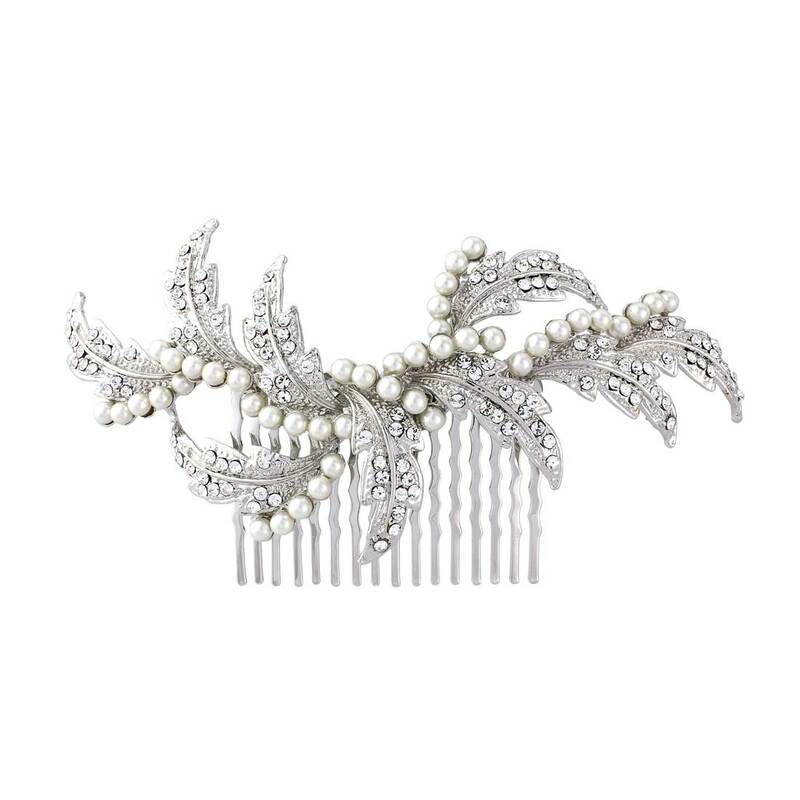 Perfect to accentuate pearl detailing on a sensational gown or to enhance a simple silk dress, coordinate Leaves of the Twenties Hair Comb with a pair of simple drop earrings and a 1920s inspired antique bracelet for a bridal style worthy of a vintage Starlet.